Since the release of Fallout 4, I have been clocking in some long gaming hours. 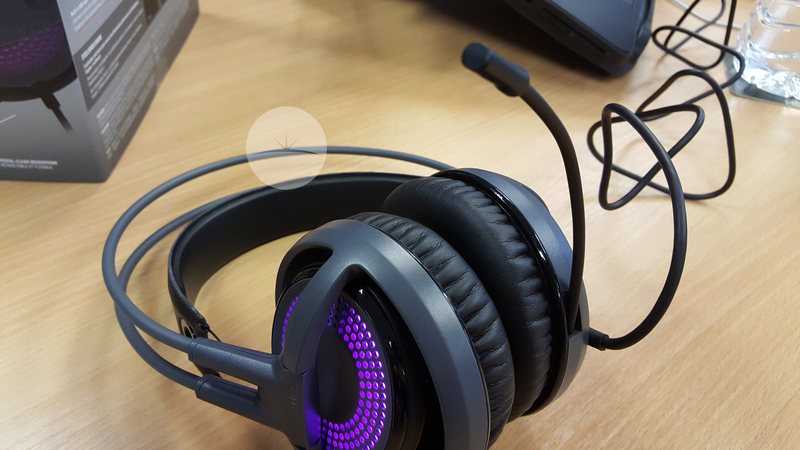 So I felt this was a good opportunity to test out the Siberia V3 Prism from Steelseries. 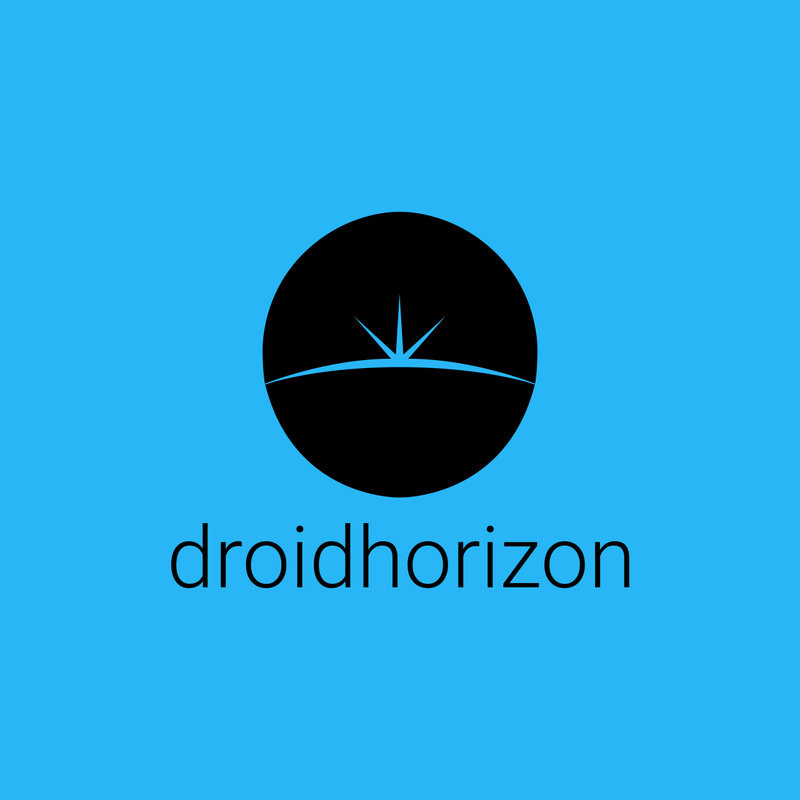 Which are meant to be perfectly suited for long periods of gaming due to their lightweight and comfortable design. 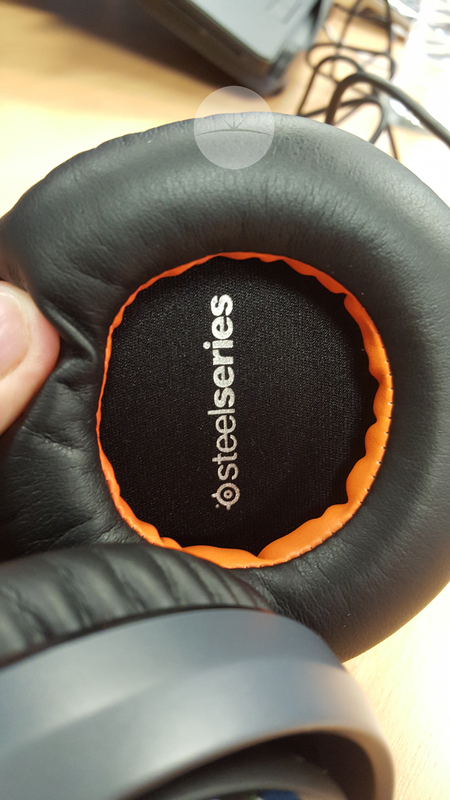 To make the Siberia V3 Prism lightweight Steelseries have gone for an overall plastic design. This plastic frame holds the ear cups in place, whilst also linking the headband. 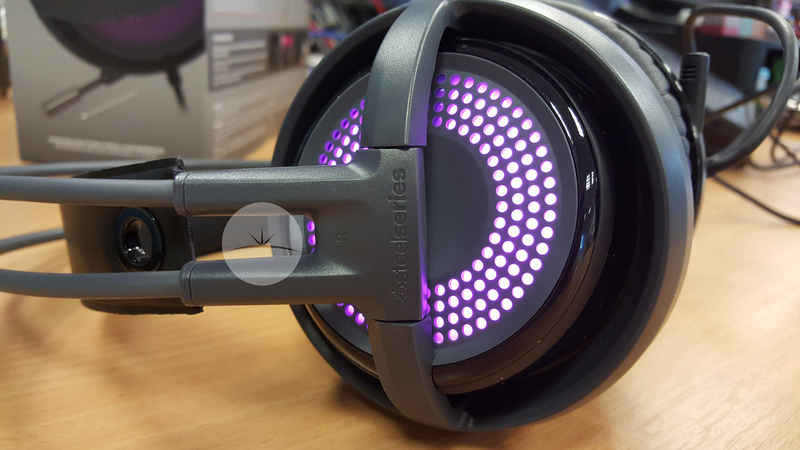 The headband on the Siberia V3 Prism is a stroke of genius, its light and comfortable. The elastic suspension on either side stretches to fit even the biggest of heads, it also means the small weight of the headphones is evenly distributed. On the sides are a set of memory foam filled, leather material ear cups. These offer two major advantages to my Fallout 4 marathons, the memory foam offers a perfect seal, so no sound can get in and more importantly no sound can get out. The second is that they appear to be sweat proof, with the heating on and 6 hours of gameplay in, they let air flow around them and it means that I tend to get “sweaty ears”. 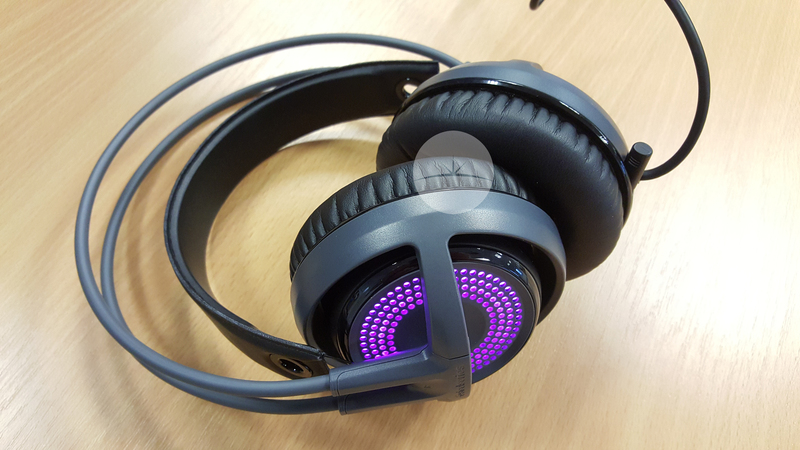 The Siberia V3 Prism features customizable RGB illumination with 16.8 million colors! This means using the software provided from Steelseries I am able to have a light show on my ears while i’m working or killing some ghouls on Fallout 4. This customization allows me to personalise my gaming experience with some wicked light shows, and also makes them look great. When using it with my PS4 I found the 1.5m USB cable a little too short to go from the TV to my couch. Though when using it with my gaming chair on the ground it was the perfect distance. So I would advise people to look into an extension cable if that distance is longer than 1.5m. Not so much a problem for me, but I was told by a friend that as the Siberia V3 Prism utilises an integrated USB sound card it won’t work with a dedicated sound card on his PC. This isn’t an issue for me as I use it mostly on the PS4 or my laptop, both of which work fine. The integrated sound card means that these guys are blasting some awesome sound into my ear drums, so its a nice sacrifice. The frequency range is around 28000Hz, so I get a bold, tight audio experience. The bass is on the lower end of the spectrum, which again is great for me, as this works well with the games I play. The mic is retractable and bendy, so when not in use can fit well into the ear cup when not in use. The bendability of the mic means that I can move it into the perfect position, and so can others when using the headset. Coming in at £139 it may seem like a lot for headphones. But with the ability to offer lots of comfort and prolonged gaming hours, I felt the Siberia V3 Prism was a great product for the gamers out there.